You’ve struggled to bring agile practices to projects but have been frustrated by buzzword-heavy books and presentations that seem to have been written by academics. What you want is straight talk giving practical advice on the real problems that you face in leading or working in agile teams. 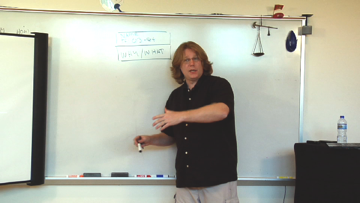 Cutting an Agile Groove is a series of videos by respected agile consultant David Hussman that shows you how to design an agile, lean process and deliver real value for your product or project—in plain English, with real-world examples. This video series was recorded in front of a live audience and is divided into three sections: Planning to Coach, Developing Customers and Products, and Discovery and Delivery, each of which contains multiple episodes. Watch the first episode of this video series for free. The Cutting an Agile Groove series provides concrete tools for people on agile teams, people trying to introduce lasting change, and people who are completely new to agile methods. Whether you call yourself a coach, Scrum Master, tech lead, manager, director, or product owner, the series will give you essential tools for coaching, product design, and planning. 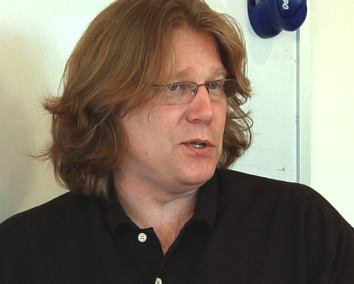 David Hussman has helped scores of coaches and Scrum Masters successfully guide teams with agile methods, and now you can benefit from his experience at your own pace. If you, or someone in your company, is thinking about using Agile for a project, the Cutting an Agile Groove series contains a wealth of techniques and tools for getting the project going in the right direction. 1. Cutting an Agile Groove. In the free introduction, David explains how his approach is different, and why that difference is helpful, along with a brief overview of the series. 2. Questioning and Learning provides tools that will help you better decide which agile tools will augment your strengths and directly address your challenges. Instead of simply “doing Scrum,” possibly introducing more process than you need, this video teaches you interview and assessment techniques that start meaningful discussions needed to start creating a measurable coaching plan. 3. Selecting and Suggesting provides tools to help you select from all the various agile processes (e.g. Scrum, Kanban, Lean Start Up, XP). Using the information from the interviews in the first video, you will learn how to select the least number of practices that show tangible results soon. These techniques will help you introduce appropriate ceremony or what David calls “just enough process,” asking you to examine the number and the size of the project communities who will be affected or engaged. People who are part of process change are more likely to take ownership and produce lasting agility. 4. Planning to Coach teaches you to create a coaching plan that measures the value of change. Instead of hoping that “things are going well,” you will learn to produce testable, trackable coaching plans. The video also discusses coaching in general, covering topics like: “Why have a coach?,” “Who make a good coach?” and “What do coaches do?” Creating simple coaching plans will help you avoid adding too much process and ensure the process you add is relevant and helpful. 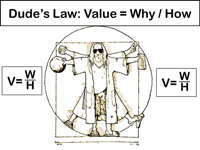 How do you measure and track the value of change? 5. In Collaborative Chartering you’ll learn how to get project teams and programs on the same page early. You’ll learn how to bond your team around what matters: goals, success measures, constraints, and delivery cadence. Why should you invest in chartering? 6. Pragmatic Personas shows you how to bring your users to life for your team. Using personas as design targets lets you focus on what is needed instead of what is specified. What value do personas provide? 7. 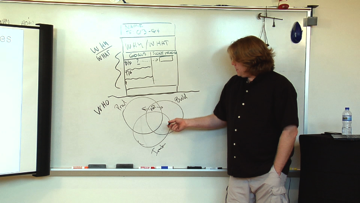 In Story Mapping you’ll acquire skills that radically improve your backlogs and user stories. The tools you’ll acquire here let you grasp the big picture missing on so many agile projects. Story Mapping will help you connect teams through a clearer connection to business processes, test cases that cross stories, and end-user documentation. 8. Planning to Discover will teach you tools for discovering unknowns and dependencies as you learn to build a meaningful road map. Instead of focusing on estimation and process, the video teaches tools that more quickly expose more of what you do not know. The video teaches simple tools for small, independent teams while also covering the uncharted territory of large-scale, multi-team planning, or what David refers to as planning (and discovering) across teams, across time, and across story maps. Where are you going and what is the first stop? Who do you need to create a road map? 9. Planning to Deliver moves on to teach delivery tools that promote learning. Instead of teaching you to follow a process like Scrum or Kanban, the video teaches you to refocus on outcomes and ensure that your processes provide learning from delivery of real value. Scrum and Kanban are compared and clarified. Whether you are new to agile methods or a vet, this video provides concrete tools for adopting and adapting iterative planning, delivery, and learning. How much planning is really needed? Who are the players? Who is missing? What are the meaningful shifts in thinking? 10. Setting the Stage provides tools and ideas for creating collaborative communities. It covers ideas for creating informative and collocated spaces. This video goes deeper into ways to pragmatically connect distributed teams and programs. The video also offers ideas for making tool selections and helping people to focus on the often-unnamed changes that help teams cut an agile groove. A reminder that screencasts are licensed for individual viewing only. Please see our FAQ for details. 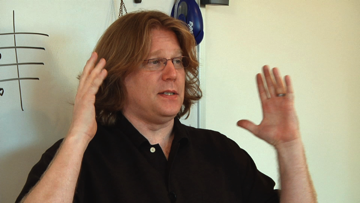 David Hussman teaches and coaches agility in companies of all sizes around the world. Most people call David a coach, but his real passion is learning and producing meaningful software. David introduces and evolves successful and pragmatic adaptions of agile methods that meet company needs. He works side by side with designers, developers, tester, leaders, and others. David also speaks and writes about the evolution of software product development at conferences around the world.